The bitcoin mining facility is located right beside the city of Medicine Hat's new natural gas-fired power plant. The bitcoin plant can consume more than 60 megawatts of power — at least 10 times more electricity than is used by any other facility in the city. 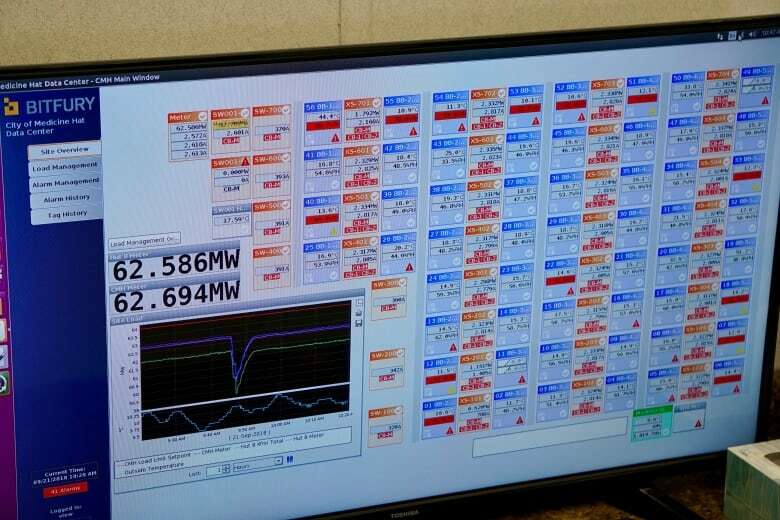 On the day of the grand opening of the largest bitcoin mining project in the country, the weather was partly cloudy and 15 C. On a Friday afternoon like this one, the new facility uses as much electricity as all of Medicine Hat, Alta., a city of more than 60,000 people and home to several large industrial plants. The vast amount of electricity needed for bitcoin mining is why the city of Medicine Hat has championed the economic benefits of the project, while environmentalists say they are wary of the significant energy use. Toronto-based Hut 8 has spent more than $100 million to develop the 4½-hectare site on the northern edge of the city. 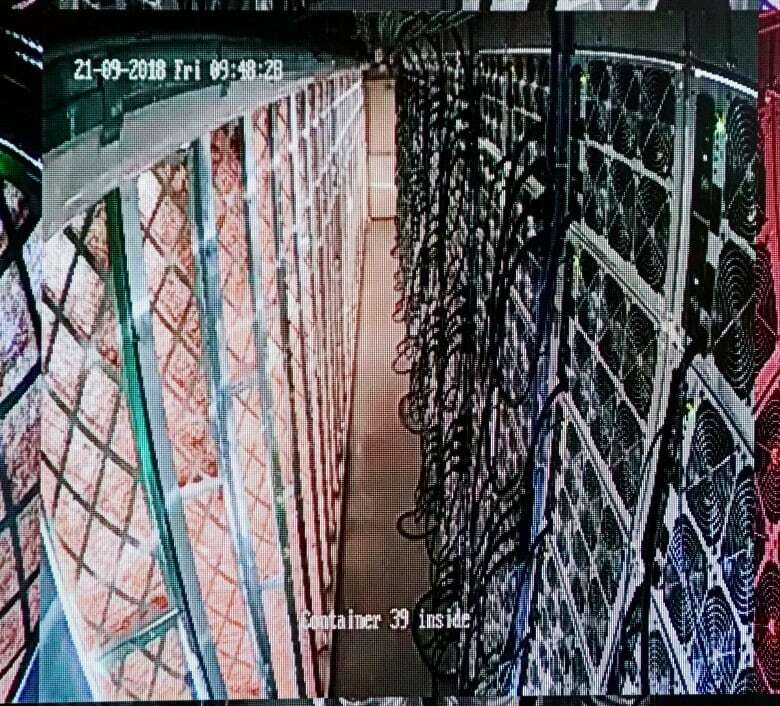 It has 56 shipping containers, each filled with 180 computer servers that digitally mine for bitcoin around the clock. The company said it has already mined more than 3,300 bitcoins in Alberta, including at its much smaller site in Drumheller. On average, the Medicine Hat facility mines about 20 bitcoins per day. The value of bitcoin can fluctuate daily, but has sold recently for around $9,000. The bitcoin mining facility is located right beside the city of Medicine Hat's new natural gas-fired power plant and four wind turbines are a short distance away. 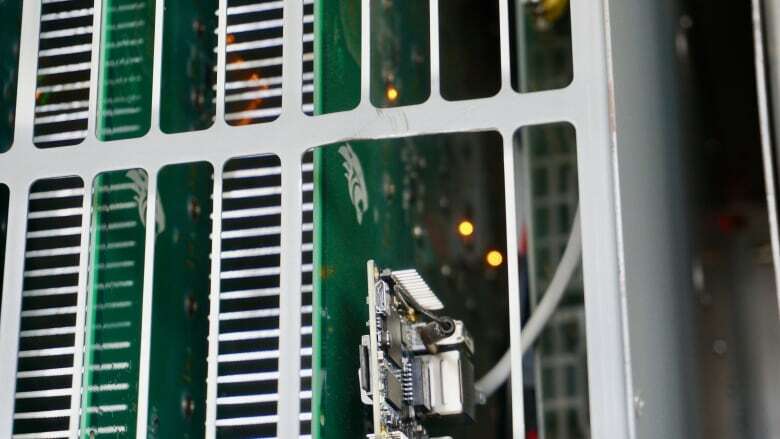 The bitcoin plant can consume more than 60 megawatts of power, more than 10 times more electricity used by any other facility in the city, according to the mayor. That's why, in the event of a summer heat wave, the city has provisions in place to pull the plug on the electricity it provides to Hut 8, so there won't be any blackouts for residents, according to the mayor. Still, some say the bitcoin mining industry wastes far too much energy. "It's a huge magnitude when you talk about the carbon emissions," said Saeed Kaddoura, an analyst with the Pembina Institute, an environmental think-tank. "Moving forward, there needs to be some consideration on what the environmental impact of this is." 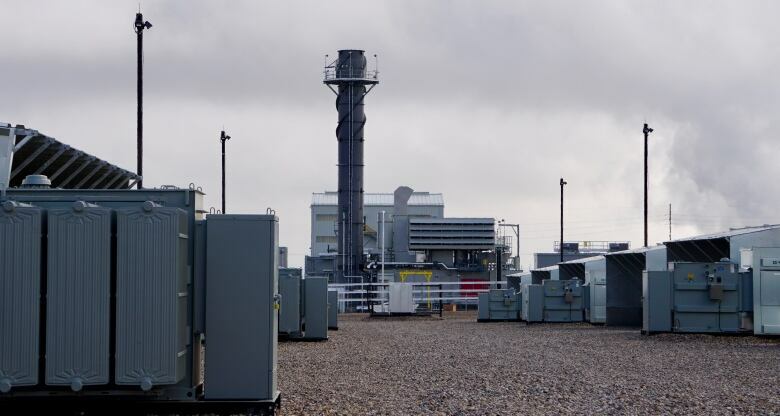 Medicine Hat owns its own natural gas and electricity generation and distribution businesses. The city leases the land to Hut 8 and the facility employs 40 full-time workers. Add up the economic benefits and the city of Medicine Hat will receive a significant financial boost from the new project, says Ted Clugston, the city's mayor. Financial details of the city's deal with Hut 8 are not disclosed. For more than a century, the city has attracted business by offering low-cost energy, and the mayor said this project is no different. "They could have gone anywhere in the world and they chose Medicine Hat," said Clugston. "[Hut 8] is not here for renewable energy because it is not reliable. They need gas-fired generation and we have it in spades." 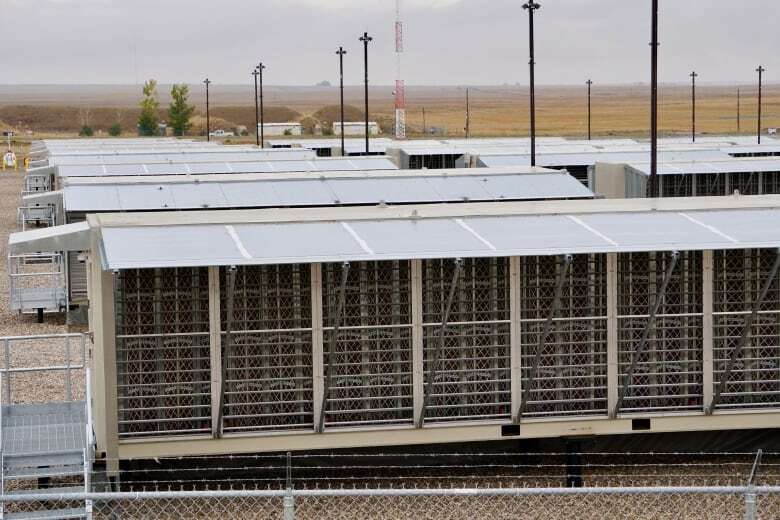 Environmental groups are concerned by the sheer amount of energy consumed by bitcoin mining, especially in places like Medicine Hat where most of the electricity is produced by fossil fuels. The bitcoin system is designed, so only a limited number of the cryptocurrency can be mined everyday. Over time, as more miners compete for a decreasing number of available bitcoins, facilities will have to use more electricity compared to the amount of the cryptocurrency they collect. "The way the bitcoin algorithm works is that it's designed to waste as much electricity as possible. And the more popular bitcoin becomes, the more electricity it wastes," said Keith Stewart, a spokesperson for Greenpeace. Stewart questions whether natural gas should be used to produce a digital product. "If you live in Alberta, you want to have heat and light, those types of things. I don't think bitcoin is a necessity of life for anyone," he said. The CEO of Hut 8 completely disagrees, arguing the cryptocurrency is essential. "Bitcoin was created during the financial crisis. It has really served a purpose in terms of providing the opportunity for people who don't necessarily trust their government or their central banks," said Andrew Kiguel.